(CNN) - Young children inevitably have a lot of runny noses and sore throats, but how they clean their hands could cut back on how often they miss day care, according to a study published Monday in the journal Pediatrics. During the eight-month study period, the 911 students had 5,211 respiratory infections that led to 5,186 missed days of day care. The hand sanitizer group missed 3.25 percent of days of day care, followed by the soap and water group, which missed 3.9 percent of days. The group following its usual hand-washing routine missed 4.2 percent of days. The authors also found that the soap-and-water group had a 21 percent higher risk of contracting a respiratory infection -- runny noses, congestion, coughing and sore throat, for example -- and a 31% higher risk of being prescribed antibiotics than those using hand sanitizer. There was a 23 percent reduction in respiratory infections among the students using hand sanitizer compared with those in the control group. "I think that the main contribution of this paper is its focus on really young children in day care," said Dr. Don Goldmann, chief medical and scientific officer emeritus at the Institute of Healthcare Improvement. "I think this does build on previous literature to support the notion that you can reduce the spread of respiratory tract infections in really young kids if you use alcohol hand sanitizer." "If you were in the Bronx in New York and wanted to implement this program, you probably would need to contact the investigators to understand the specifics of what they did and how they did it," said Goldmann, who is also a part-time professor of pediatrics at Harvard Medical School. "Hand-washing being a way to prevent infections is not new news anymore, for sure," she said. "We know a lot about the fact that it works. We are paying more attention now to the fact that it's not just washing your hands but how you wash your hands." The US Centers for Disease Control and Prevention suggests scrubbing hands for at least 20 seconds when you wash -- "Hum the 'Happy Birthday' song from beginning to end twice," it says -- after wetting hands with running water and applying soap. It suggests lathering the backs of hands, between fingers and under nails. A person should wash their hands before eating food and after blowing their nose, coughing or sneezing, it said. For hand sanitizer, the CDC suggests applying product to one hand and rubbing it all over surfaces of hands and fingers until they're dry. 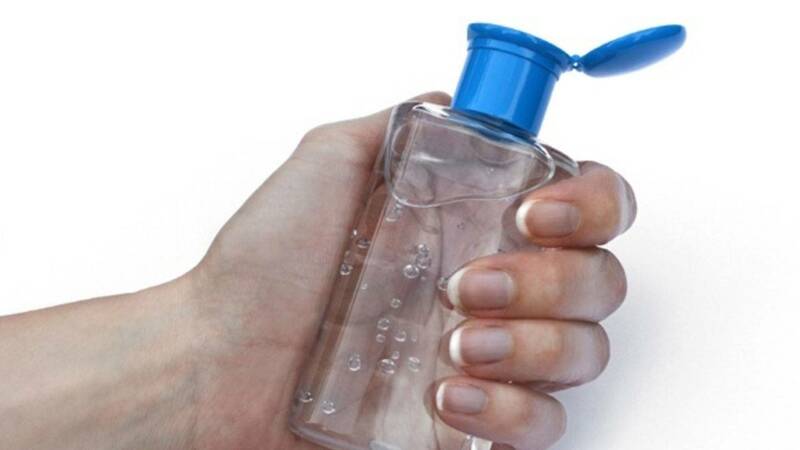 The CDC notes that "hand sanitizers are not as effective when hands are visibly dirty or greasy,"
"There is a place for alcohol hand sanitizers, and the public may not be aware of how effective they can be," Haas said. "I think people still think of them as 'if you can't get to a sink, this is second best,' but in this study, it showed that it was better than the soap and water hand-washing for this group." "They have to be used with supervision," Haas said, "because the caveat here is that you can't have little kids putting that in their mouth and possibly getting alcohol intoxication."